Indulge yourself in the space and luxury of Terrigal’s most contemporary 4 Star Serviced Apartment Accommodation. 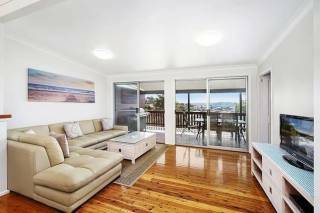 Terrigal Sails Serviced Apartments is in an enviable location just a stone throw away from the beach and a moments stroll to Terrigal. 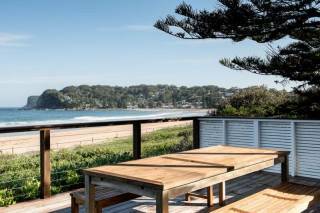 The Haven Beach House 5 bedroom 2 storey newly renovated beach house sleeps 11 adults and up to 12 all up, only 600 meters walk to Terrigal beach With Amazing views over Terrigal Beach. 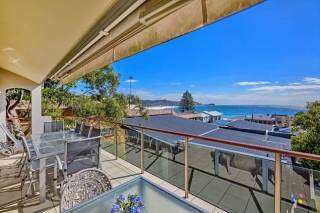 Large open 3 storey home with wonderful views of Terrigal and the beach. Pacific views Beach House is a original style beach house cottage, with modern furnishings spread out over 3 levels with 5 bedrooms. You’ll love this place because of its panoramic ocean views, rooftop terrace, kids retreat, sleek furnishings and unbeatable location. An ideal beach retreat for couples, business travellers, and families alike. 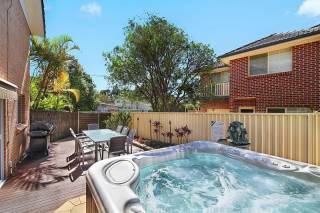 Enjoy a getaway to a quiet, freestanding townhouse located 300 metres from the beach and a 7 minute stroll to the surf, cafes and shops. Relax in the spa, enjoy the BOSE, the Platinum FOXTEL or the free wifi; or just chill out, the Retreat has it all. So close to Sydney, yet so remote from the city! Avoca Beach is one of the most popular seaside villages in Australia. With a village feel, it boasts all the modern amenities as well as one of the best swimming and surf beaches. Beachfront Break - Wake to the sunrise over the ocean fall asleep to the sound of the waves! Perfect for families coming together after time apart. 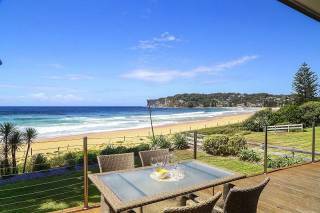 Beautifully styled beachfront duplex with direct access to Avoca Beach, walk to Avoca Village. 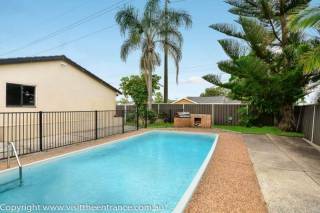 Located right on the beach at North Avoca this 4 bedroom house with games room has all the space you need when holidaying with family or friends. Perfect all year round with a gas fireplace, AC and the beautiful sea breezes on the deck. 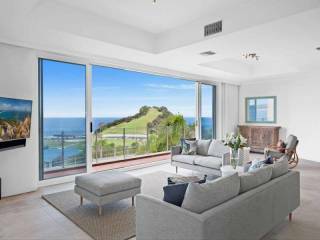 TheThe Rockpool is an architect designed townhouse development located at South Avoca Beach NSW approx 1 hour via F3 from Sydney. 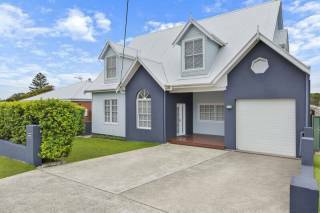 Superb 180 degree views from North to South Avoca. Perfect for large groups of up to 11 people. The perfect retreat for couples. Joy Suite offers a queen sized bed with furnishings reflecting the exotic colours of the Middle East. Your room opens to your own private terrace overlooking a tranquil rural valley and the solar heated lap pool. Serenity offers a king sized bed with furnishings based on muted lustrous neutrals. Serenity also provides for disabled with wheel chair access.The perfect retreat for couples. HOUSE IN COPACABANA BEACH - PET FRIENDLY - ACCOMMODATES 4 GUESTS IN COMFORT - LEVEL 300M TO BEACH. Clean & tidy, modern beach cottage perfect for a romantic couples getaway, a relaxing beach holiday with friends or a small family. 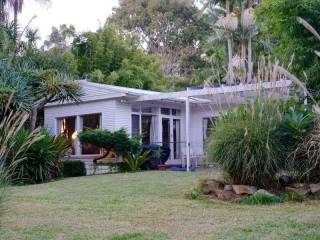 Perfectly located within metres to Shelly Beach golf course and beach this beautifully renovated large family home is perfect for a family getaway. Buccaneer Motel Long Jetty is at a short distance from The Entrance water front. 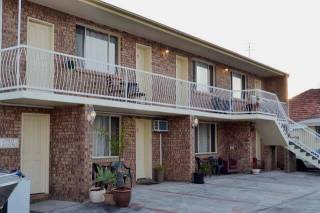 Buccaneer Motel has two types of rooms, Deluxe Queen rooms and Deluxe Family rooms, All rooms have flat screen TV's, Foxtel, Free Wi-Fi. Sunny and north facing, this property boasts open plan living with formal and informal dinning areas, fabulous cooks kitchen and master bedroom all with spectacular views. Relax on the large alfresco balcony. 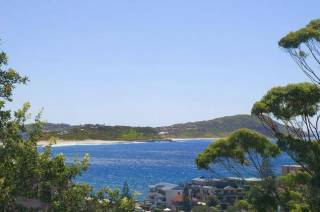 Rest & Relax at the Central Coast's best kept secret surrounded by beach, lake, national park, award winning restaurants just 45 min. north of Sydney. Displaying 1-20 of 112 results.